Kevin Durant’s rise to the ranks as one of the game’s elite ballers was a trajectory that we all saw before he was even drafted. Already a terrorizing scorer for the Texas Longhorns, Durant’s potential as an offensive threat in the NBA was limitless – his four league scoring titles are proof of that. The Maryland native’s got all the goods to transcend greatness, and what the hoops experts and casual fans see is that the OKC Thunder star will go down as one of the greatest players to ever step foot on the hardwood. His incredible success on the court is only matched by the widely popular Nike KD signature line that the Swoosh brand launched in 2008, and though it had its humble beginnings (the shoes were as low as $75, which, to put into perspective, is the same MSRP as the most bare-boned sneaker in history, the Nike Roshe Run), the Nike KD line is currently regarded as one of the Nike’s most successful in the brand’s storied past. Now, ranking the best of the KD signature shoes isn’t an easy task; there’s the aforementioned bargain-priced Nike KD II, which was so affordably priced that it appealed to lower-income households, and there’s the KD IV, which was one of the best shoes of 2012 thanks to its incredible colorways and equally pleasing $95 price-point. Here, we attempt to rank the KD signature shoes – all of which were designed by Leo Chang (now serving as the Design Director of Nike Basketball), but let it be known that there is no sub-par shoe here – there are just reasons to like one more than the other. 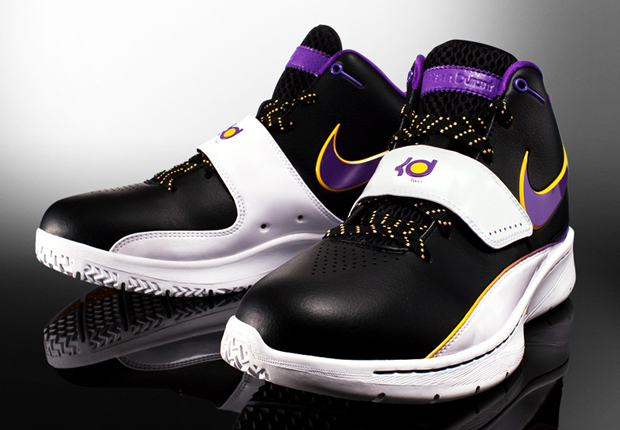 Get a look at the ranking of the Nike KD Signature Shoes by Champs Sports on TheDrop365.com.